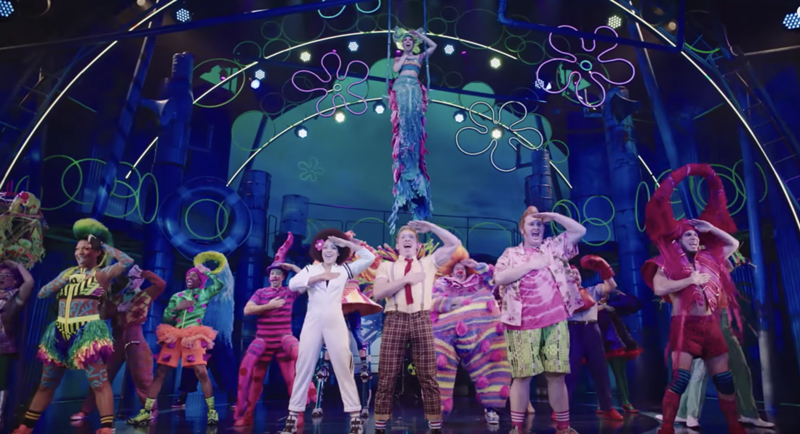 Still from the promo for SpongeBob SquarePants: The Musical. Is it us or is this year's Tony Awards lineup more Humboldt than anticipated? For one thing, locally grown songstress/composer/Broadway star Sara Bareilles is slated to co-host Broadway's biggest night on June 10 with Josh Groban (a man with a beard who is evidently also musically inclined but not from here so let's stay focused). 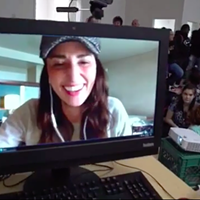 And among the nominees announced today is Ms. Bareilles herself as a member of the team credited for composing the score for SpongeBob SquarePants: The Musical. And yes, that is a thing. The video below should give you an idea. The undersea romp picked up a dozen nods, including Best Book of a Musical, Best Original Score, Best Performance by an Actor in a Leading Role in a Musical, Best Performance by an Actor in a Featured Role in a Musical and Best Musical. As any fan of the animated sponge will tell you, cartoon creator Stephen Hillenburg is a Humboldt State University alum who drew inspiration from our landscape and burger joints. Hey, parents: Sounds like there's a whole musical score for our kids to learn and sing over and over and over.